KVM-over-IP Dominion® KSX II là thiết bị phần cứng kết hợp KVM-over-IP và Serial Console Server giúp nhà quản trị mạng mọi lúc mọi nơi có thể truy cập tất cả các thiết bị của chi nhánh từ xa. KSX II với hiệu suất của một KVM-over-IP cung cấp khả năng truy cập đến mức BIOS của server, các thiết bị serial console và tùy chọn điều khiển nguồn điện từ xa. Được thiết kế tập trung dành cho chi nhánh và các văn phòng xa hội sở, Dominion KSX II cũng được áp dụng cho các phòng lab và data center với thiết bị serial và thiết bị được điều khiển bởi KVM giúp nhà quản trị mạng tiết kiệm được chi phí đi lại, nâng cao tính bảo mật, khả năng đáp ứng, hiệu suất sản xuất. Kết nối với thiết bị quản lý tập trung CommandCenter® Secure Gateway hợp nhất quản trị tất cả các thiết bị mạng. Remotely access servers and networking equipment in your branch and remote offices by combining KVM-over-IP, serial and remote power control in one secure appliance. Access hundreds or thousands of remote devices when integrated with Raritan’s CommandCenter® Secure Gateway (CC-SG). If you have geographically dispersed equipment at branch and remote offices, the KSX II enables you to reduce travel costs, increase IT productivity, decrease mean time to repair and achieve higher service quality. The Dominion KSX II is also ideal for labs, computer rooms and data centers with racks containing both serially and KVM – controlled devices. The Dominion KSX II is available in two secure hardware appliances. The DKSX-144 features four KVM-over-IP ports, four serial ports, two power control ports and a local port for direct access. The DKSX-188 features eight KVM-over-IP ports, eight serial ports, two power control ports and a local port for direct access. Includes a built-in modem for emergency access and dual LAN ports for reliability. 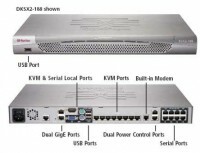 KSX II provides virtually all of the KVM-over-IP features of the award-winning Dominion KX II as of Release 2.3. With the Dominion KX II as its foundation, the KSX II enables new levels of KVM-over-IP performance, reliability, usability, compatibility and security. See the Dominion KX II Features and Benefits for the complete features list. Note that the tiering (cascading) feature is not yet available for the KSX II. The KSX II enables true serial access of serially-controlled equipment including networking equipment, headless servers (UNIX®, Linux®, Sun®) and other devices. Providing many serial features of the Dominion SX, the KSX II does not require expensive serial dongles, like competing solutions. You can remotely power up, down or cycle devices connected to optional Dominion PX™ power distribution units. An administrator can power cycle a hung or crashed server with a click of the mouse. The KSX II includes two power control ports that can be connected to two Raritan PX strips. Mount remote drives/media on servers in remote offices to support software installation, remote booting and diagnostics. Using virtual media, you can even remotely re-image a server in a branch office. The Dominion KSX II supports a wide variety of media options, including CD/DVD/floppy drives, hard drives, USB drives and ISO image files. Provides high availability with dual gigabit Ethernet ports for redundancy. Should one Ethernet switch or interface card fail, Dominion KSX II will automatically failover to the other port and continue operating. The Dominion KSX II has a built-in modem for out-of-band access if the primary network is unavailable. As an added security benefit, dial-back authentication is supported. For government, military and other high security applications, the Dominion KSX II is the first combo digital KVM and serial switch with a validated FIPS 140-2 Cryptographic Module for enhanced encryption. Modules tested and validated as conforming with FIPS 140-2 are accepted by the federal agencies of the U.S. and Canada for the protection of sensitive information. FIPS 140-2 encryption can be applied to both KVM and serial sessions. The Dominion KSX II supports smart card and DoD Common Access Card (CAC) authentication at the rack, stand-alone over IP and through CC-SG. Meets U.S. Government HSPD-12, PIV and CAC directives and ISO 7816, PC/SC and CCID standards. All Dominion KSX II models support smart cards using the D2CIM-DVUSB CIM. The Dominion KSX II uses Advanced Encryption Standard (AES) encryption for added security. AES is a U.S. government–approved cryptographic algorithm that is recommended by the National Institute of Standards and Technology (NIST) in FIPS 197. The Dominion KSX II has administrator-configurable strong password checking to ensure that user-created passwords meet corporate standards and are resistant to brute force hacking. The administrator can also enforce password aging and lockout after failed attempts. Administrators can ensure that only the right people access remote IT equipment by setting permissions down to the port level. Administrators can also grant or deny virtual media and power cycling privileges on a port and user basis. Dominion KSX II integrates with industry-standard directory servers, such as Microsoft’s Active Directory, using either the RADIUS or LDAP protocols. This allows Dominion KSX II to use preexisting username/password databases for security. For government, military and other security – conscious customers requiring a security message before user login, the KSX II can display a user-configurable banner message and require acceptance before user login. You can upload digital certificates to the Dominion KSX II (self-signed or certificate authority provided) for enhanced authentication and secure communication. Dominion KSX II’s KVM-over-IP engine uses Raritan’s next-generation technology, providing virtual at-the-rack performance. Next-generation features include ultra-fast screen refresh, 1920×1080 high-definition (HD) remote video resolution, advanced color calibration and per server video optimization. Dominion KSX II supports popular blade server models from HP, IBM® and Dell®. It provides simple, automated and secure KVM-over-IP access (1) at the rack, (2) remotely over IP, (3) via CommandCenter Secure Gateway and (4) by modem. Blade servers are displayed by chassis with simple one-click access. The Dominion KSX II’s blade features are available to SMB customers with no management system required. For enterprise customers, seamless blade server integration with CommandCenter Secure Gateway is available. The Dominion KSX II provides dual stack IP networking with simultaneous support of IPv4 and IPv6. Virtual media sessions are secured using 128- or 256-bit AES. Also available is 128-bit RC4 encryption. The dual-USB virtual media CIM (D2CIM-DVUSB) and USB profile feature enable expanded BIOS use of virtual media drives to the broadest range of servers and BIOS versions. The Dominion KSX II has a next generation, browser-based user interface for enhanced usability and productivity. This interface is common across the local port, remote access, management software as well as other Raritan products. This reduces training time and increases productivity. The Absolute Mouse Synchronization feature is the ultimate mouse synchronization solution. For servers with a compatible USB mouse port, there is no need to adjust the mouse settings on the target server. This reduces installation time and enhances the Dominion KSX II’s plug-and-play nature. In addition, the remote and target server mouse pointers never go out of synchronization. This feature is enabled by the D2CIM-VUSB and D2CIM-DVUSB virtual media CIMs. The Dominion KSX II supports full high-definition (HD) remote video resolution (1080p). In addition, popular widescreen formats are supported including 1600×1200, 1680×1050 and 1440×900, so you can work with today’s higher resolution monitors. With the Dominion KSX II’s full-screen video display, you appear to be directly connected to the target server. You can view the full video display from the target server without window borders or toolbars. A hidden toolbar of KVM client commands is available. Video performance can be configured to match the available network bandwidth. With highspeed LAN access, more bandwidth is available and higher quality video information can be sent, resulting in better performance. When accessing via a limited bandwidth connection, Dominion KSX II can be configured to the limited bandwidth available. Up to eight users can connect and remotely access each KVM – connected server. This feature is very useful for administrator collaboration for teamed troubleshooting. The Dominion KSX II provides true, remote serial console access to either four or eight serial devices, without the use of expensive serial dongles. Note that simultaneous access to four or eight serial ports is provided, with no blocking. In addition, multiple users can connect simultaneously to a serial device. Access to serial devices is provided via the Raritan Serial Console, SSH or Telnet clients. The Dominion KSX II provides a true serial connection to network devices and serially managed equipment. This includes the ability to log serial sessions and retrieve the session history. You can copy and paste session information between different devices. You can define, for each port, a set of keywords (port triggers). The KSX II will scan the data coming from the port, and if a keyword is encountered, it will log the event and send alerts via SNMP. This allows for monitoring and alerting of problems with remote devices even when you are not connected. Once you have timed out for inactivity, a user-defined logoff command is sent to the serial device. 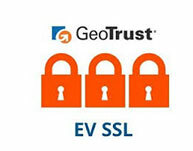 Improved security of user sessions results, as the next user that connects to the port will need to log in to the target with their own credentials. Allows encrypted instant messaging for online collaboration with other authorized browser users and maximizes the effectiveness of a distributed workforce. Reduces time to resolve problems and allows multi-person troubleshooting. Direct port addressing to specific devices via IP address and/or TCP port number for both Telnet and SSH. You can perform all management, administration and configuration operations, using a simple graphical user interface, remotely from the convenience of your desktop or while in the data center. Like the rest of the Dominion series, Dominion KSX II features CommandCenter Secure Gateway integration, allowing enterprise users to consolidate all Dominion devices into a single logical system, accessible from a single IP address and under a single management interface. The Dominion KSX II has two dedicated power control ports for Raritan PDUs like the Dominion PX. This enables you to remotely power cycle IT devices from the KSX II management interface. The Dominion KSX II SNMP agent distributes SNMP traps for important system events to SNMP management systems. SNMP traps are fully configurable by the administrator. Syslog is also supported. Dominion KSX II is a completely self-contained system (i.e., an appliance). All KSX II features, including authentication and Web access are built into the unit and do not require the use of an additional server. A comprehensive Command Line Interface is available via SSH, Telnet or the local serial port. With the CLI, the user can configure, maintain and troubleshoot the KSX II, as well as connect to serial devices.